Mkhondo’s residents were honoured to meet the Minister of Women, Bathabile Dlamini and various other stakeholders, during a National Sanitary Dignity Programme District Mayoral Imbizo, which was held on Thursday, 28 February, at the Piet Retief Rugby Club. 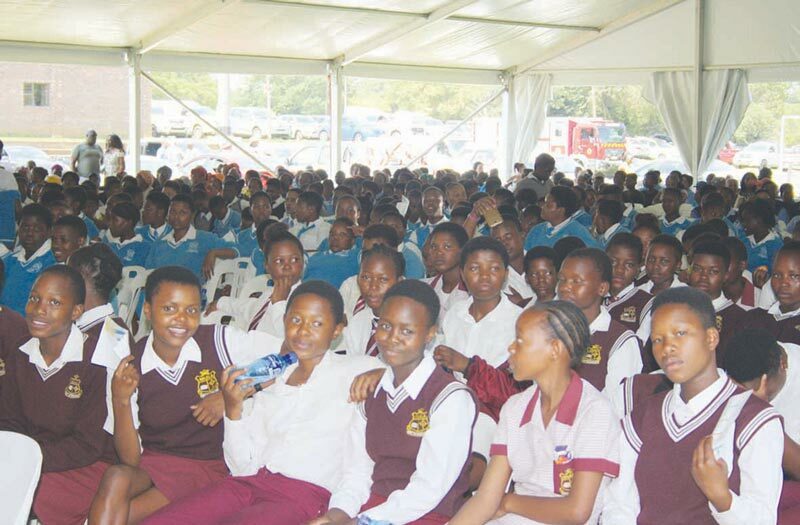 The National Sanitary Dignity Programme was in aid of creating awareness regarding the challenges that young girls face on a monthly basis when it comes to their menstrual cycle. A lot of young girls do not go to school when it comes to “that time of the month” due to the fact that they don’t have the necessary sanitary products. According to a press release by Mpumalanga’s Provincial Government, it is being estimated that a girl child is absent from school for four to six days, every 28 days (a month). By the initiation of this programme, the government is aiming to embark on a journey towards the restoration of the self-esteem of young girls and women. This is planned to protect and prioritize the interests of girls and women. 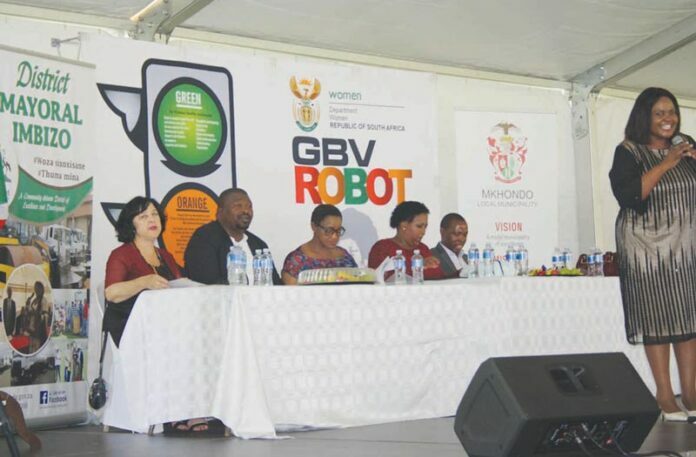 Stakeholders who attended the prestigious event was namely the Minister of Women in the Presidency, Honourable Bathabile Dlamini, members of the Executive Council, Executive Mayor of Gert Sibande District Municipality, Cllr. Muzi Chirwa, Executive Mayor of Mkhondo Local Municipality, Cllr. Vusi Motha, esteemed councillors, guests and learners from various schools within the Mkhondo Local Municipality’s region. Various individuals had the opportunity to address the crowd on this subject; this had a positive outcome as it gave the guests new hope. The programme director stated that everyone should acknowledge the commitment that was undertaken by the Minister of Finance during his mid-term Budget Statement of 2018, which stated that by April 2019, sanitary towels shall be added to the list of items that are exempt from value added tax, also known as zero rated items. This will result in the average woman spending about R5 000-00 less during the course of her lifetime, on sanitary products alone. 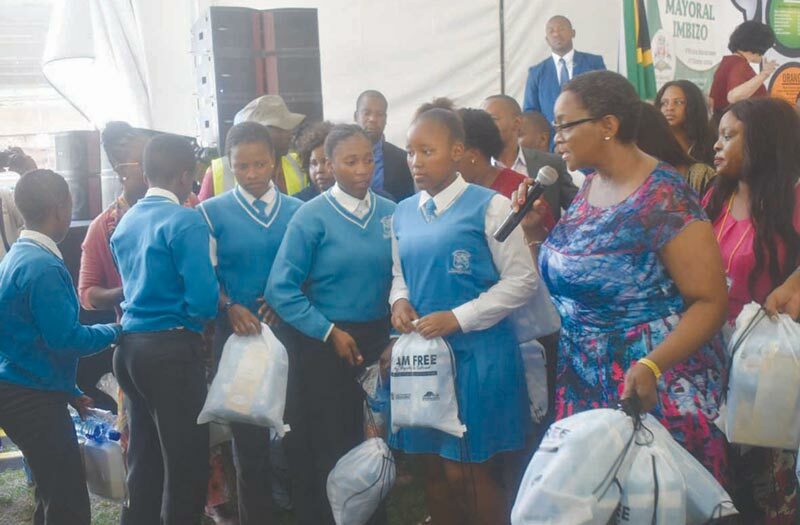 During this event, Honourable Bathabile Dlamini, together with other stakeholders handed out parcels to 500 learners, from five different schools. 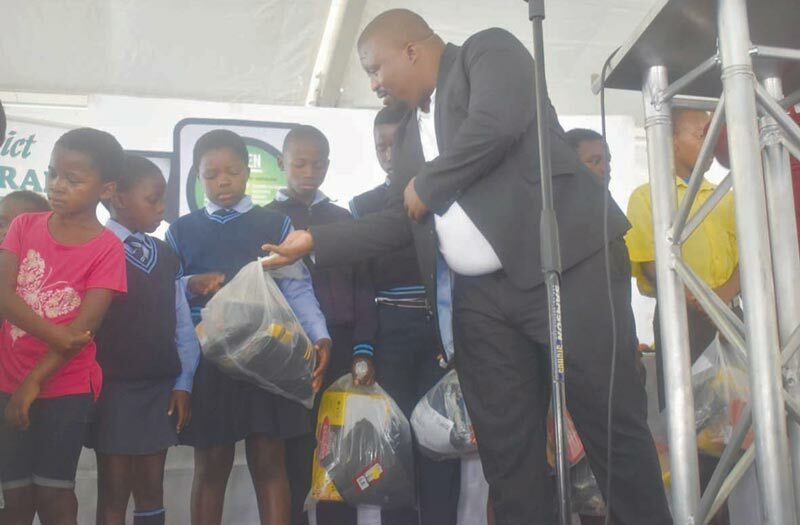 The Gert Sibande District Municipality’s representatives also handed out school uniforms to those in need. A warm-hearted thank you from the community of Mkhondo to everyone who helped to organise and present this event. This truly makes a huge difference in the lives of our community’s young girls – it gives back their dignity as they are able to face their daily challenges as well as being able to attend school, no matter what time of the month it is. Next articleThank you for prompt service delivery!